SPRINGDALE — Bighorn sheep populations are thriving in Southern Utah, and initiatives to maintain healthy herds are underway by wildlife advocates. 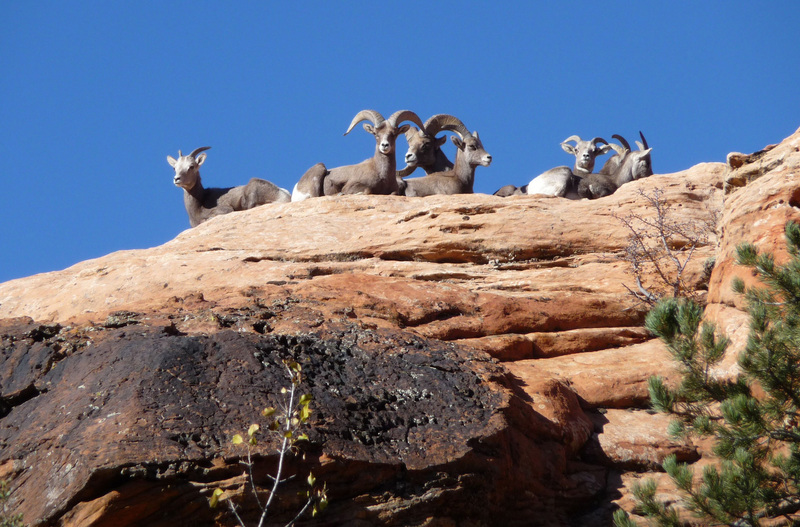 In November, 17 bighorn sheep were captured and GPS-collared in Zion National Park to monitor population density. The effort, performed collectively by the Utah Division of Wildlife Resources, Zion National Park, the Zion Forever Project and the Utah chapter of Four North American Wild Sheep, was an effort to reduce the risk of a catastrophic pneumonia outbreak. A number of sheep from the herd in Zion will be captured beginning Tuesday and transplanted to the San Juan County area to bolster the sheep herd there, while also reducing density of the Zion herd and promoting genetic diversity of animals throughout the state. The technically challenging capture and transplant of the sheep will be conducted by a helicopter crew, navigating aircraft above the park’s vertical sandstone features as animals are netted from the air. 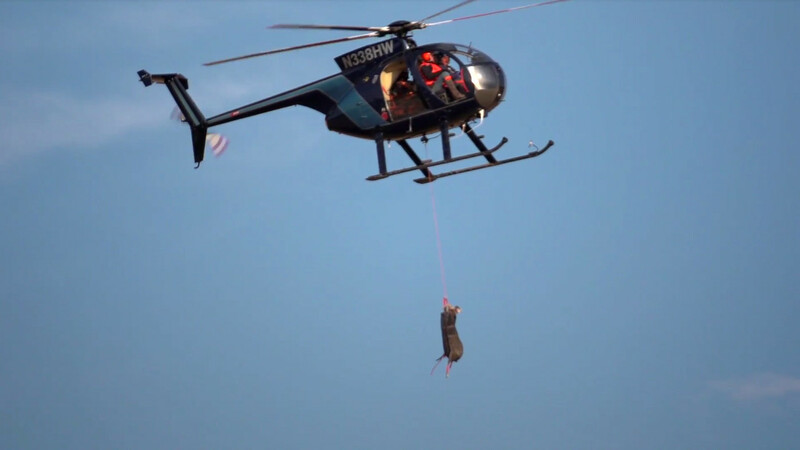 See crews capture bighorn sheep in the video top this report. More than 600 bighorn sheep roam the wilderness areas in the east side of the park. “Most visitors who drive through the park through the east side are lucky enough to spot them,” park spokesman John Marciano told St. George News Monday. Visitors to Zion can help the herds flourish by contributing to Zion Forever Project’s “Adopt a Sheep” program, which provides critical funding for the transplant operation and other projects, including the collection of data from the GPS-collared sheep to improve bighorn management in the park. Over 4,000 park visitors have supported the project by purchasing and “adopting” a stuffed animal sheep from Zion Forever Project at the Zion National Park Store or online. Leave the animals and birds alone. Does every animal need to be tranqualized, netted, weighed, moved, and scared to death by being chased by people on machines and helocopters, and shooting tranqualizer guns with darts / needles, and the tagged, and followed…and all at the taxpayers expense? They never say how many die when they are doing so. Am I the only one that thinks enough is enough and leave them alone!! Why don’t you just put them on reservations and people can pay to see them? LEAVE THEM ALONE! Maybe we can train and ride them like we do to wild horses….